Among the many options for cosmetic dentistry services nowadays, you probably have heard about the least expensive alternative, dental bonding! If you are thinking of reshaping your teeth, hiding those gaps, and reviving decayed or broken teeth, dental bonding with us at Shawn A. Walls, D.D.S. can help. Moreover, the treatment can also fix discolored teeth and lengthen their sizes as well. This cosmetic dentistry procedure makes use of the tooth-colored composite resin to match the patient’s smile. Here are other reasons why investing in dental bonding is worth it. Dental bonding is custom-made per patient, allowing them to meet their smile goals. 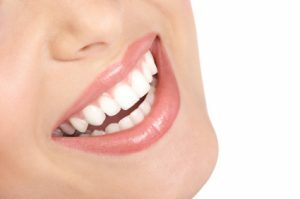 Unlike other cosmetic dentistry treatments, the procedure for the application of dental bonding is comfortable and quick. No shaving of the enamel is required for the process. And in just one sitting, the treatment is completed. It is a cost-effective treatment compared to other alternatives. But despite it not hurting your pockets, the end result is not compromised. The misconception that dental bonding is not at all durable due to its lower price is common. However, with proper care and maintenance, the effectivity and result may last for years. Both adults and children can benefit from the procedure. It can fix the chipped teeth of the young ones and the older patients as well. In addition, there is no special care required for the bonded teeth. Just observe and practice good oral hygiene at all times, and you’re good to go. Brush the teeth two times a day, floss once daily, and rinse with an antiseptic mouthwash. You might also consider avoiding unnecessary habits like biting your fingernails, chewing on pens and other hard objects such as ice, or even using your newly bonded teeth as a substitute to be an opening tool as the material can chip. If you notice any defect or sharp edges to your bonded tooth, contact us at Shawn A. Walls, D.D.S immediately. For inquiries about Dental Bonding in Johns Creek, GA, book an appointment with us at Shawn A. Walls, D.D.S. You can also visit us at 10700 Medlock Bridge Rd. Suite 202, Johns Creek, GA 30097.